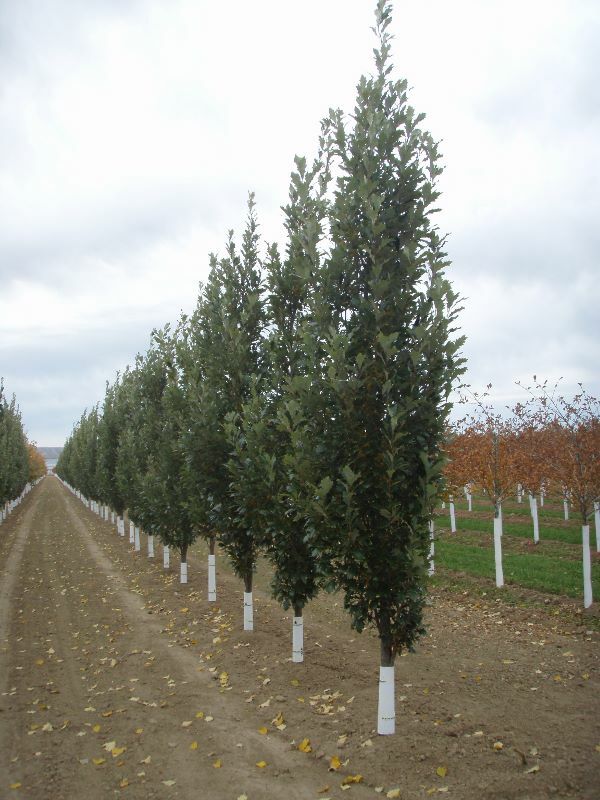 A massive, broadly rounded and sturdy tree, the English is great for large areas. It is adaptable to various soil conditions and climates. 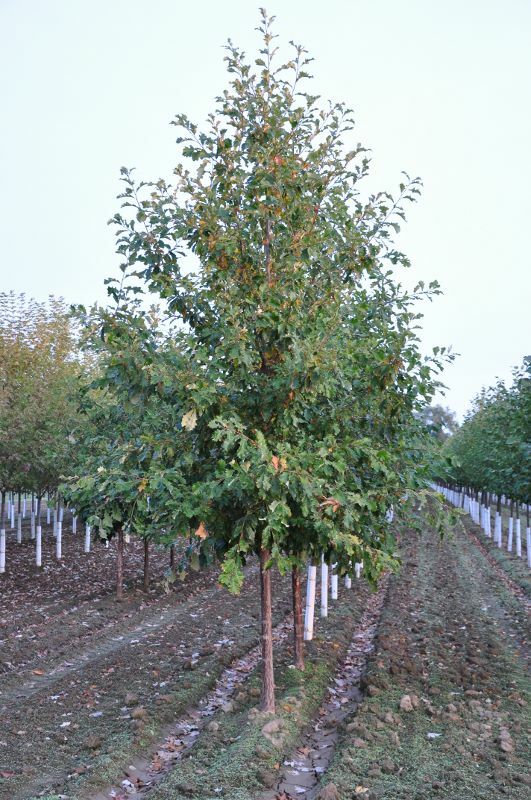 This hybrid of English and Swamp White Oak is notable for excellent columnar form and beautiful glossy green summer foliage. 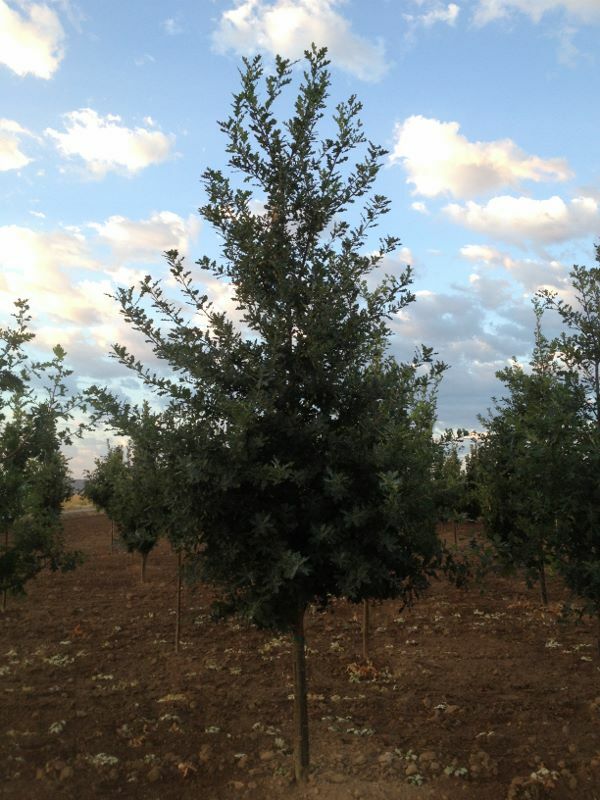 Known to be the best white oak, it is easy to transplant and will grow in poorly drained soils. Its form is broad and open with lustrous heavy textured green leaves and yellow to reddish fall color.